March 29th 1917 Aged 27 years. His body lies at a point 5 miles N.E. of Sindiyah. Charles Trevor Bishop was born in Grantham, Lincolnshire in 1890. 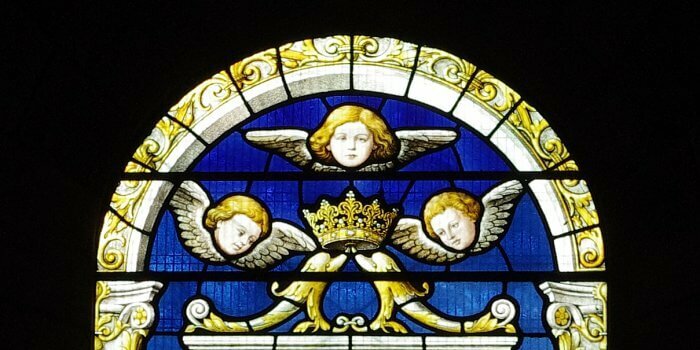 He was the eldest child to William and Margaret. Charles’ father was a Chemist and ran his pharmacy business on Grantham’s High Street. The family moved to Welshpool when Charles was still a child. William continued his Chemist’s business at 33 Broad Street and the family lived above the shop. 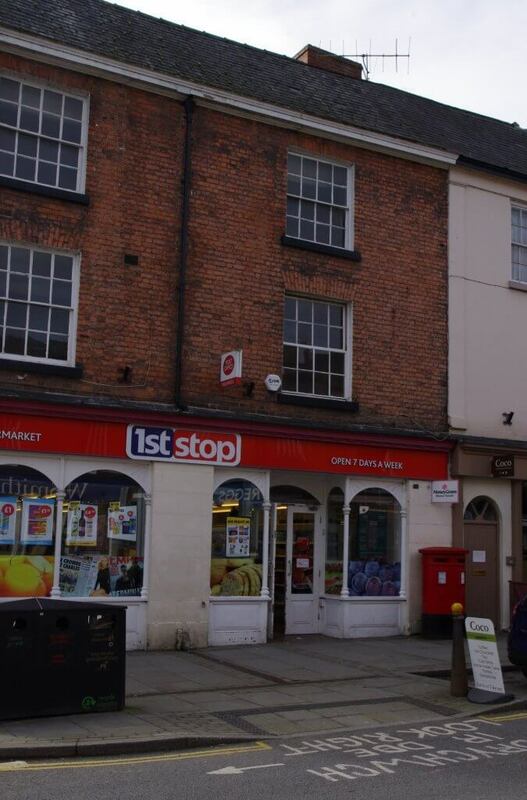 The site now forms part of ‘1st Stop’ shop and the Post Office. Charles followed his father into the Chemist’s trade and in 1911 at the age of 21 he was working as a Chemist’s Assistant in Blundellsands, near Liverpool. At the outbreak of war in August 1914, Charles registered as ‘ready for military service’. 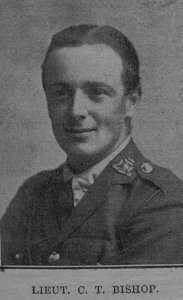 Utilising his skills in medicine he was appointed to the 1st City of London Field Ambulance – a Territorial Force of the Royal Army Medical Corps. They were sent to Malta to begin training. Over 200 members of the R.A.M.C were based there. In April 1915 Malta became the ‘Nurse of the Mediterranean’, receiving the sick and wounded of the Gallipoli campaign. In June 1915 Charles was made Acting Sergeant. 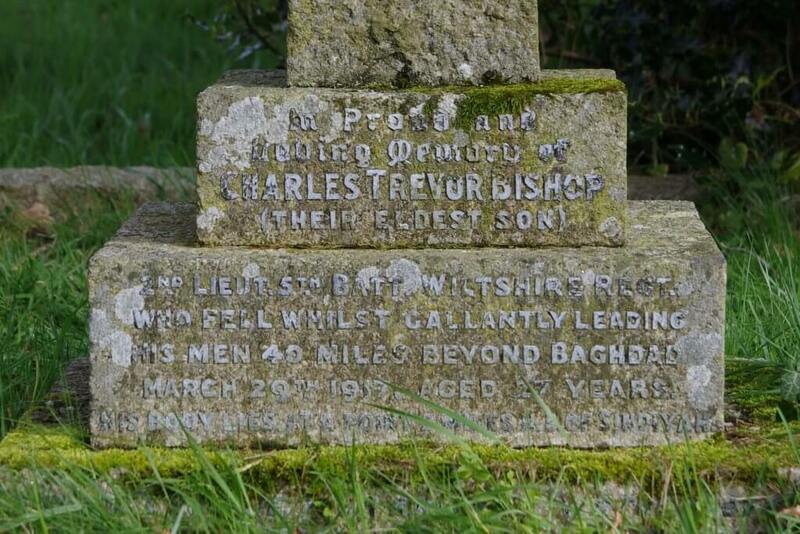 On 18th August 1915 Charles was given a commission with the 8th (Reserve) Battalion, Wiltshire Regiment. It is probable he left Malta to return to the UK for training with his new regiment. 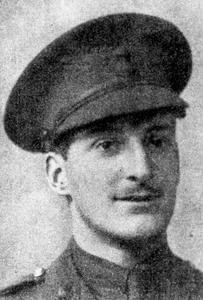 Charles, now a Second Lieutenant, was transferred to the 5th Battalion and was posted to Mesopotamia (present day Iraq). He arrived in Bombay, India on 4th August 1916 before traveling on to Basra, arriving 23rd September. The purpose of the British campaign in Mesopotamia was to protect the oil fields near Basra as the Royal Navy required oil for it’s fleet of warships. Mesopotamia was part of the Turkish Ottoman Empire and the British wanted to defeat the Turks as they were German allies. During 1916 and 1917 British troops, reinforced by regiments from the Indian Army, make their way up the River Tigris towards Baghdad. Baghdad fell on 11th March 1917. The war diaries of the Wiltshire Regiment states that they marched into Baghdad on that day as they were ordered to keep law and order as a lot of looting was taking place. The inhabitants cheered the soldiers as they entered the city. From Baghdad Charles along with his regiment made their way north along the Tigris clearing snipers from the villages as they went. The villagers were very friendly, handing the soldiers food as they passed. On 29th March they had reached Palm Tree Post before making their way along the Nahrwan Canal. As they advanced they encountered heavy shell, machine gun and rifle fire. Charles and his comrades continued their advance, even though there was no cover. 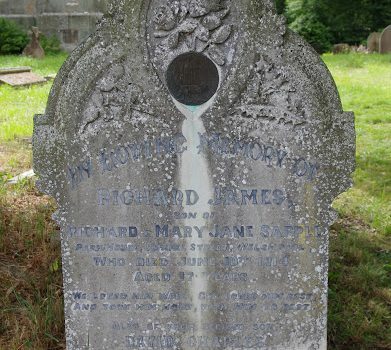 Consequently casualties were high and Charles was killed. 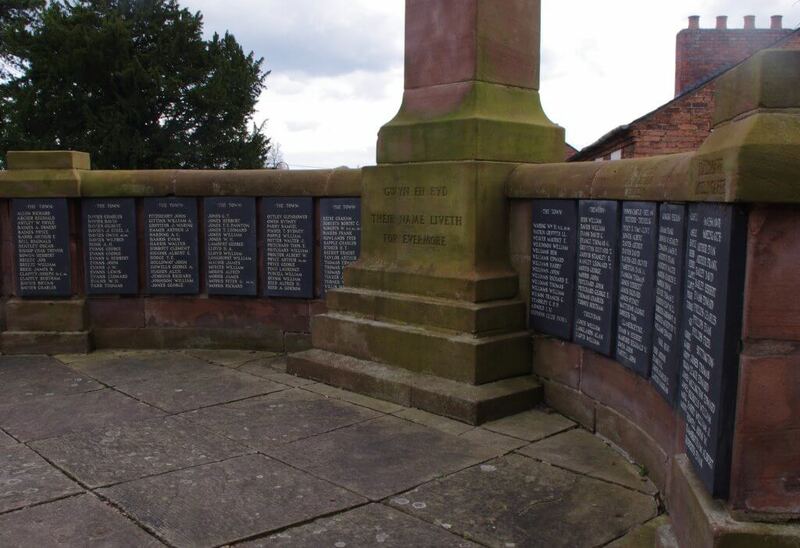 28 men lost their lives and 141 were wounded. Charles’ body lies near Sindiyah. Charles is remembered on the Basra War Memorial. 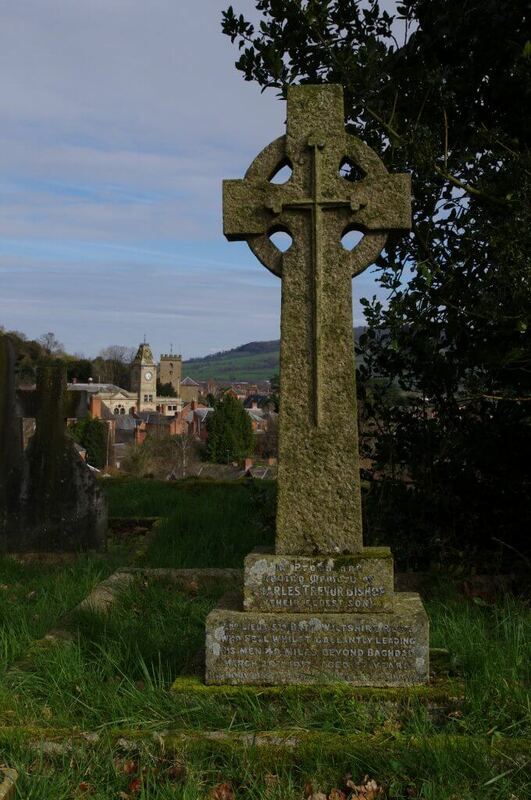 He is also remembered on Welshpool’s war memorial situated in St. Mary’s churchyard. 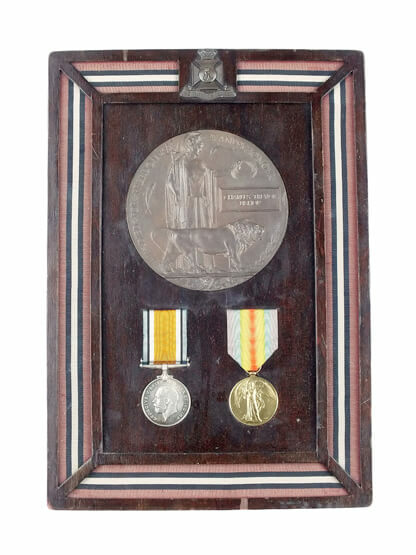 In April 2015 Charles’ war medals and Death Plaque were sold at an antiques auction in Oxfordshire. A detailed account of Charles’ story is on display as part of the ‘Remembering the Fallen of the Great War at Christ Church’ exhibition.